I am the founder of the Soul Psychology Institute and the creator of Purpose-based Transformation, a system that provides clarity, focus and direction for achievement oriented and success driven professionals and business owners who are seeking to manifest their truest and highest potential. My approach is not about treating mental illness, but about uncovering the root cause of whatever is holding you back and developing a strategic change strategy to move you forward into a more purposeful — life and business. With my background in psychotherapy combined with my intuitive abilities I offer piercing insights that accelerate your personal transformation. Together we will peal back the veil to discover the truth of who you really are and what you can really create…without the fluff. We’ll focus on practical strategies to solve the real problems that move you forward and fast. I don’t manufacture problems or suggest things you don’t really need. As your guide, we’ll identify with accuracy your hidden blocks and challenges that are holding you back from the level of success you know you can achieve. I will carefully consider where you are and where you want to be and recommend specific steps that are needed by focusing on the most important tasks and details. I am the secret weapon to your success! Discover your unique gifts and how they translate into a next level career strategy! Identify your calling and your next practical steps! Move through life transitions successfully! Move beyond self-sabotage and fears! Deal with high pressure and stress without losing yourself in the process! Find a new way to be successful without the grind! Heal the influences of the past so you can move forward and fast! Our work together will produce agile solutions to the most complex challenges you struggle with today. Together, we’ll shift you out of stalemate and move you into a more passionate and purposeful life design that takes you far from the emotional and mind blocks you may have been struggling with for years. With my 15 years practicing as a psychotherapist in clinical holistic psychotherapy and my intuitive focus, I am able to observe and assess situations quickly for what needs to change and how. We move beyond traditional models of thinking and working and come up with innovative ideas on how things can be done differently and practically to support your goals in both life and business. The next level is not found through wishful thinking. If you want it, you’ll have to seek it. We’ll have to dig deep beyond your current paradigms and uncover your next steps and how your going to do it differently to get a different result. It’s not about change for change sake, but about discovering a strategic change process that identifies what you do well and how that translates into your life and business. If you’re committed, then so am I! We start with an in-depth soul-profile assessment of your current way of being, what this way of being allows for and ways in which it’s holding you back. We zero in on specific competencies needed to embody a new way of being and unleash your full potential. Through custom designed practices we work to awaken your inner talents and resources so you can bring more of who you are to your life and business, therefore creating a ripple effect in your income and impact. How did I get into this line of work? The number one question I get asked is, “How did you get started in this line of work?” Honestly, I had an extraordinary experience when I was 14 years old. The level of stress and grief that was impacting my life began to make me question my inherent value. I looked over at the neighbors home, their white picket fence, their happy life and I couldn’t help but wonder what made one family successful while another struggled. I wondered what could be wrong with us? At that moment, I was taken out of my body and experienced my life like a kaleidoscope of images around me, like being shown a story. I understood that I “agreed” to experience my challenges before I was born. When I asked why I would agree to experience such challenges, I was told the experience would change me in positive ways. That one day I would find a way to heal myself and then go on to help others heal in the same way. As this vision closed up, I found myself without stress or sadness and as I went to catch the school bus I decided I would become a psychologist. I had no idea this was a psychic experience that would profoundly impact how I worked with people in the future. Fast forward to post graduate school when I was running my private practice. Although I had finally achieved the goal that had been set before me so many years before, I didn’t feel any more fulfilled. I was confused that the path I had taken didn’t lead me to a personal sense of fulfillment. I was 40 lbs overweight, fatigue, my adrenals were shot, and I was chained to my desk trading time for dollars. I thought I would be more fulfilled. Yet I had this secret desire to be on the stage sharing a message with the world. I just had no idea what that message could be or how to even get started achieving that dream. Today, I’ve built my business and reputation through speaking as an inspirational speaker and transformational counselor and guide. I retired my husband and moved to an area that fits our family’s desire for expansion and growth. I’ve worked with hundreds of business owners and entrepreneurs to make major shifts in their life and have opened up new possibilities in their lives and businesses. And I am just getting started! If we decide to work together, you won’t recognize yourself in a year. I tell this to everyone and at first they think I am being dramatic. After a years worth of work, they cannot believe the changes they have achieved in their life and business. Initiating change to unleashing your highest potential by clarifying your purpose. Embracing transformation by committing to the journey of accelerated self-discovery. Honoring authenticity by empowering your true self through a position of strength and honesty. Respecting risk by taking clear action embedded in safety and trust. If you’re committed so am I.
I invite you to take the leap to achieve your dreams. Time goes by and you might as well spend it unlocking your truest and highest potential. Click on the Work With Me page to find out how we might come together to accelerate your personal and professional transformation. psychotherapy, Kim offers uniquely piercing insights that accelerate tangible, purpose-based transformation. Kim Page received her Masters Degree in Clinical Social Work from the University of Utah in 2004 from an accelerate, advanced standing graduate program. She graduated top of her class as an undergraduate at Weber State University, where she received her Bachelors of Science. 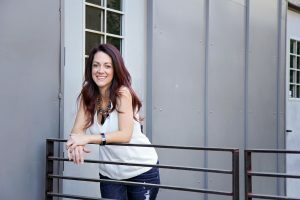 Kim has numerous years in the clinical field working on women’s issues, relationship counseling, and trauma-based treatments before she branched out to working with executive professionals and small business owners. Obsessed with discovering a practical model that highlighted a simple approach to reaching our full potential, Kim has been developing her theories on human behavior and development for over 15 years in the field. The step-by-step systems Kim uses today have come out of her her work with clients, her own personal self-discovery and her relentless search for the truth.